How many of us wear sunscreen every single day? Be honest, now. It’s incredibly important to shield our skin from the sun. Not only will sun protection help keep health scares away, but it may also act as a major player in slowing down the clock and keeping us youthful! Don’t believe Us? How about one of television’s biggest (and most beautiful) stars? Kiehl’s Since 1851 Super Fluid Daily UV Defense is a mainstay in Game of Thrones actress Sophie Turner’s skincare routine. We’ve all admired Sansa Stark’s porcelain complexion on TV, but unlike her character in Winterfell, the real-life actress actually has to worry about sunshine’s negative effects on her skin. How does she do it? She wears this SPF 50+ Kiehl’s sunscreen every single day! 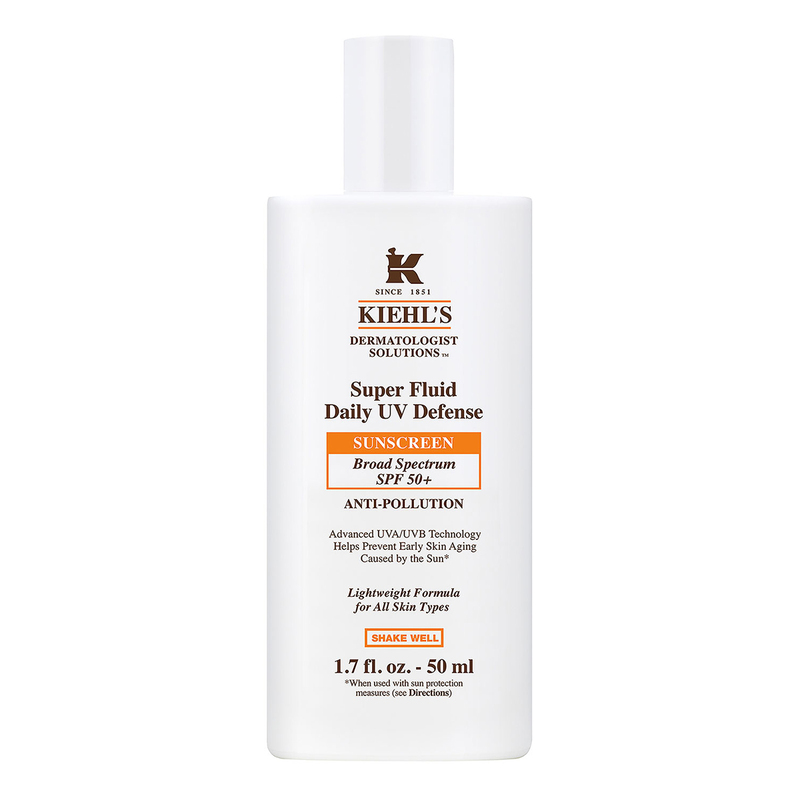 See it: Get the Kiehl’s Since 1851 Super Fluid Daily UV Defense starting at $38! “While working on Game of Thrones, I wasn’t allowed to go in the sun because I had to maintain Sansa’s pale complexion,” Turner told Marie Claire. “At the time, it was a bummer, but it actually turned out to be a blessing for my skin.” Recognizing how much her skin improved when protected from the sun, she decided to never go without her sunscreen, choosing it as one of her absolute essentials, paired with micellar water! We hope these good skincare habits are rubbing off on fiancé, Joe Jonas! One tip Turner gives is blending her sunscreen in with her makeup. She said she mixes “a little bit” into her foundation so it goes on flawlessly. This also helps when it comes to reapplication, which is also very important! No white streaks to be seen, just smooth and ageless skin. Kiehl’s claims that UV skin damage is “intensified by pollution exposure.” Kiehl’s believes that all skin routines should begin with “daily environmental protection,” which is why this sunscreen is infused with “pollution-deflecting technology.” Along with the UVA/UVB filters, this sunscreen may protect our skin from multiple damaging aspects and the accelerated aging we experience just from stepping outside (or even sitting near a window). Some of the damage this lightweight fluid claims to prevent includes dark spots, dull complexions and rough skin. Wrinkles too, of course! By providing “superior” protection against UV rays and environmental aggressors, this sunscreen may have us looking 10 years younger, minimum! If we have sensitive skin, this sunscreen has us covered. It’s dermatologist tested and claims to be safe for us, not causing any breakouts or irritation! It also claims to feel “gentle” on the skin as we apply it, leaving a “smooth, matte finish” with no greasiness. This means we can easily apply our makeup on top of it, or, like Turner, we can start to go makeup-free more often! The active ingredient in this sunscreen is vitamin E. It’s naturally occurring in both plant leaves and skin and is often used in skincare as a moisturizing ingredient that also may help to protect us from free radicals that age us faster. This sunscreen is SPF 50+, but ultimately, what does that even mean? A lot of people tend to just think “Oh, a higher number means better sunscreen.” In some ways, it’s true, but going up to SPF 70 or above isn’t going to work for everyone’s skin — it could actually end up irritating us. 50 is a much safer bet! It will protect us from 98% of UVB rays, not leaving much room for sunspots, sunburn or skin cancer to creep in at all! Just remember to reapply! We’re sorry if we’re nagging, but we swear it’s for the best. Another product Turner listed as a beauty fave is Tom Ford’s Eye Color Quad, so if we truly want to achieve her modelesque beauty, the sunscreen is step one, but this eyeshadow quad is step two! Always remember that sunscreen isn’t just for the beach or an all-day music festival, though obviously it’s extremely important in those scenarios, too. Going outside, getting fresh air and being in the sun is a good thing, but like many good things, it comes with the bad, so we have to protect ourselves daily! If we ever need inspiration, all we need to do is watch a little Game of Thrones, which is certainly not a problem. Looking for something else? 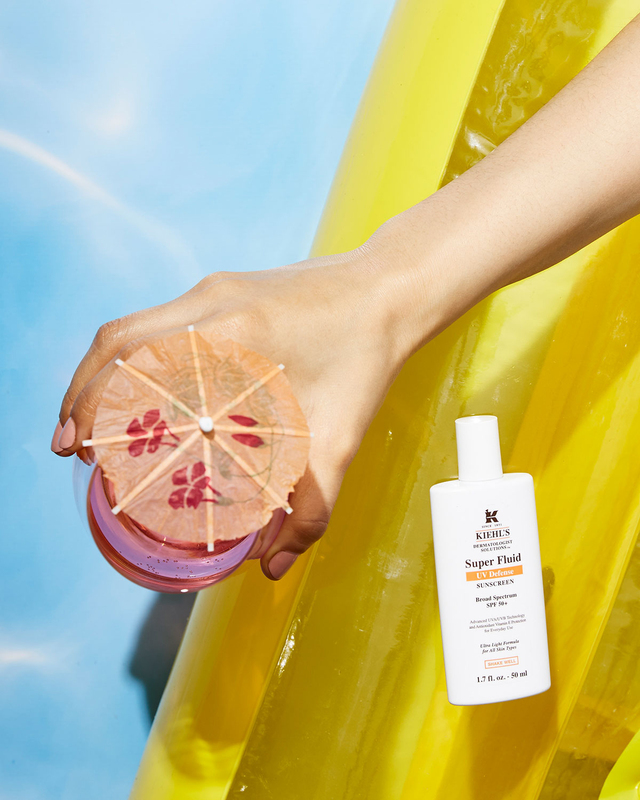 Check out more from Kiehl’s here and more skincare here!